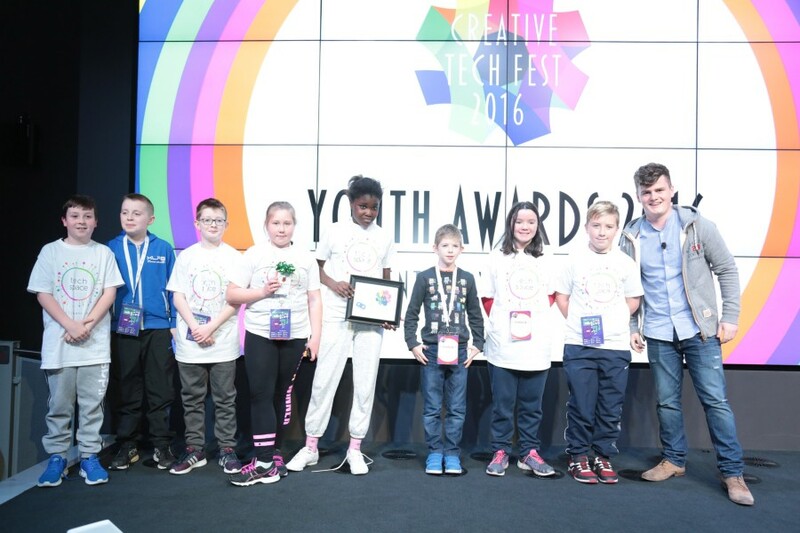 Barrow Street was bustling on the morning of November 4th as 250 young people from youth centres across the country descended on the Google Foundry for the TechSpace Creative Tech Fest 2016. Sonalake is a an active supporter of the initiative which is the annual celebration of TechSpace, an education movement that inspires young people aged 10-20 to become digital creators, inventors and makers through free access to hardware, software, trained youth workers and creative mentors. 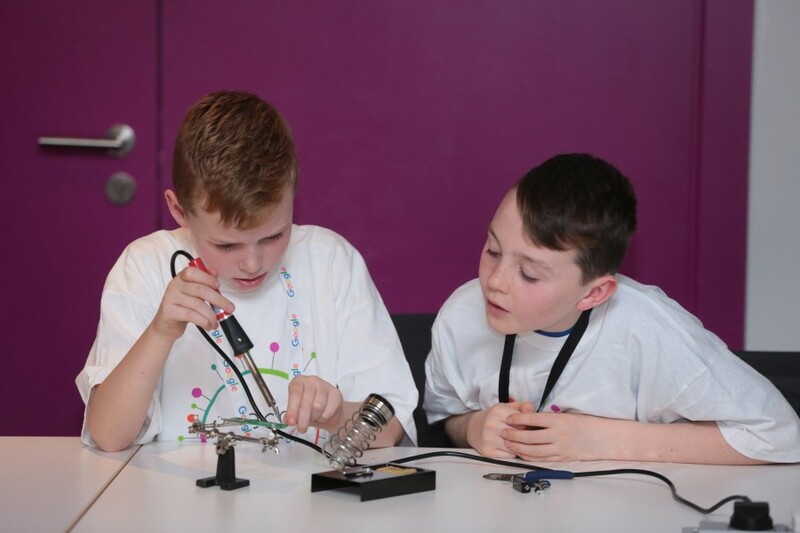 Creativity, collaboration, critical thinking and confidence are skills at the heart of TechSpace activities and spaces that have sprung up in organisations such as YMCA, Ográs, Foróige and Youth Work Ireland. Our first assignment was to welcome the young techies of tomorrow and direct them towards reception. The excitement was palpable as the young people flowed into the building, with only the distraction of a selfie in front of the famous Google sign holding them up. The venue quickly filled up with inquisitive minds, who weren’t shy about getting involved in the displays and exhibits. The interactive approach meant the young people could engage with the technologies on display and get a feel for how they worked. The virtual reality headset proved particularly popular, and it was striking to note that plenty of these children were already familiar with a realm that remains foreign to many of us. The interactive approach would stand to the kids after lunch, as they would be getting a lot more hands-on during the workshops. Sonalake sponsored the workshops for the day and Alessia, and I were assigned to assist with the 3-D printing. We were really taken aback by how quickly the kids became comfortable with the software. Within 15 minutes, they had rough designs in place, and the printer sprung to life soon after. Perfectly formed geometric shapes, complex piping and the odd superhero bust were just some of the creations on show. Our workshop shared a room with the soldering workshop, where serious concentration was needed to form the fully functioning mini circuits that began appearing across the way. Sounds from the music technology workshop resonated throughout the entire Foundry as young people showcased their talents; recording, overdubbing and mixing in real-time. 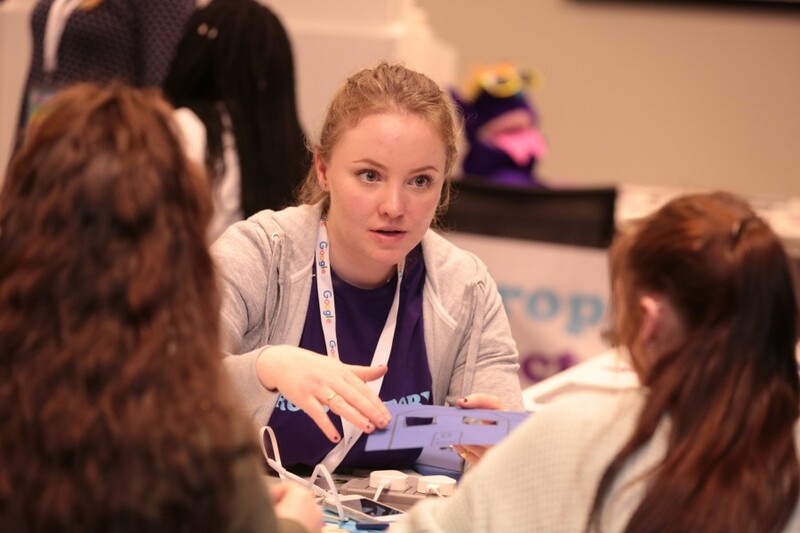 Other workshops on the day included mobile app development, robotics, prop design, animation, computer science, documentary making, virtual reality expeditions and a workshop focussed on bridging the gender gap between girls and boys progressing to careers in STEM. The afternoon concluded with a series of speakers, presentations and awards. I must admit I was a little nervous about this section of the day, fearing the kids might be worn out and begin to crash. My concern proved unwarranted however as Tanya Rosen, Assistant Director on Game of Thrones, and Harry McCann, entrepreneur and one of 20 under 20: Ireland’s most inspirational rising stars gave excellent talks that kept everyone entertained. Young people won awards for everything from the most creative use of video, to the best electronics project, all from the last 12 months of work that has taken place in youth centres all over the country. Shortly after four, the young people finally streamed out of the building in awe and aglow. The chatter concerned everything from the award winners to the virtual field trip they had just taken to the Great Barrier Reef. This generation has seen technology progress at a phenomenal rate but I think we all feel a certain detachment from certain advancements that are so far removed from our everyday lives. Events like Creative TechFest are perfect for bridging those gaps, and encouraging young people to keep closing them.